Ballet in the City Ambassadors are individuals that represent Ballet in the City and spread awareness of its work and its brand. Ambassadors enthusiastically participate in events and initiatives that allow the organization to grow and continue to present top professional ballet artists. Applications to become a 2020 Ballet in the City Ambassador open in Fall 2019. The Ballet in the City Scholarship (formerly The Misty Copeland Scholarship) was established by Ballet in the City founder Jessica Wallis and Misty Copeland in 2015. To honor Ms. Copeland, Ballet in the City annually awards this scholarship to provide opportunities for African American dancers in classical ballet. 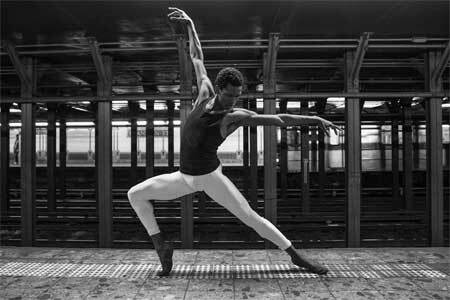 To continue this legacy, Ballet in the City will award two $350 scholarships to one male and one female African American dancer in 2018. The 2018 recipients should be not only hardworking in the studio, but also demonstrate upstanding character. Applications for the Ballet in the City Scholarship will open January 7, 2019 and remain open until February 15, 2019. Recipients will be announced February 28, 2019. Applications for the 2020 Ballet in the City Scholarship open in January 2020. 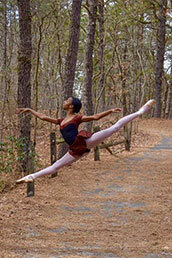 Thank you to Calvin Royal III, Soloist, American Ballet Theatre, and Ballet in the City Scholarship Ambassador! This new scholarship, developed in 2017 by leaders of Discount Dance Supply and Ballet in the City, supports promising young dancers. The 2017 recipients were Jordan Henry of Colorado and Annabelle Adams of Virginia. Applications for the 2018 Discount Dance Supply Scholarship open on October 29, 2018 and will remain open until December 3, 2018. Recipients will be announced December 17, 2018. Applications for the 2019 Discount Dance Supply Scholarship open in Fall 2019. Think of all the men who have powerfully impacted the world of dance: Edward Villella, Arthur Mitchell, Mikhail Baryshnikov, Jerome Robbins, and perhaps one of the greatest of all, George Balanchine. The list is endless. Prioritizing programming for male dancers and namely making it accessible for male dancers to pursue their interest and passion is the reason behind Ballet in the City’s ‘Guys Dance Too’ program. Since 2014, Ballet in the City has provided opportunities for male dancers to study with teachers such as Amar Ramasar, principal, New York City Ballet, and Piotr Stanczyk, principal, National Ballet of Canada. Beginning in 2018, any male dancer is eligible for a scholarship to attend a Ballet in the City presentation of a performance or master class (exceptions to some events apply). Simply email info@balletinthecity.org to reserve your ticket/ place in the class. 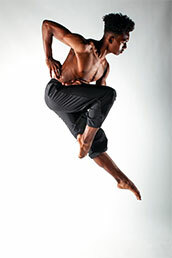 Stay tuned for more details about Ballet in the City’s Guys Dance Too program. Former ABT Soloist Sascha Radetsky teaches male dancers in a Ballet in the City Master Class.